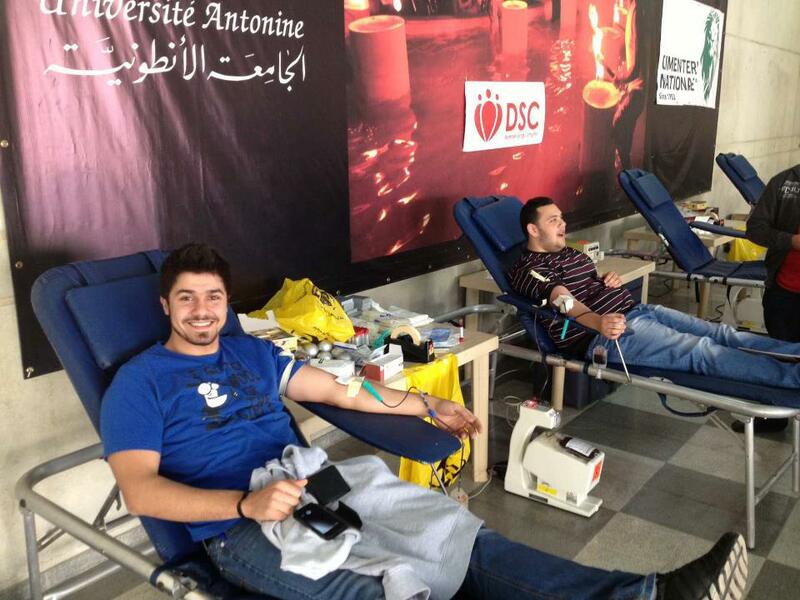 »Activities»The Antonine University Opens Its Doors To DSC! The Antonine University Opens Its Doors To DSC! 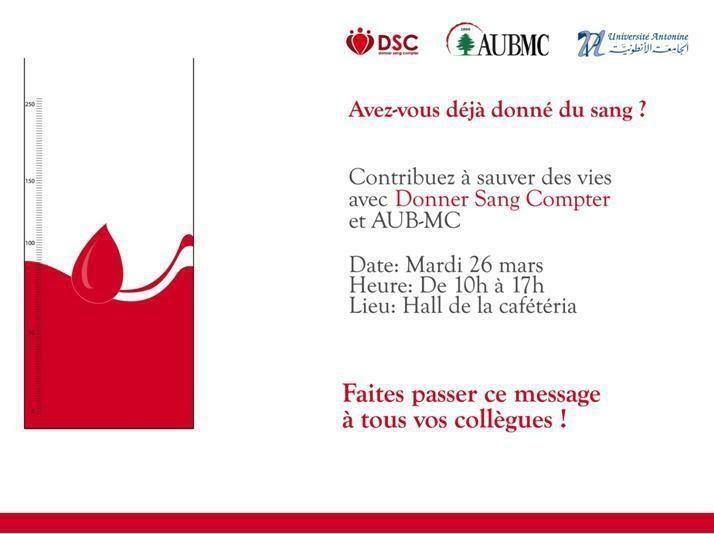 Last Tuesday, on March 26, the Antonine University (UPA) hosted us for a wonderful blood drive, during which 40 brave students gave blood, and helped save the lives of around 120 people in need. The drive took place at the cafeteria hall, with an awesome ambiance around, inciting many to donate for the first time, with a big smile on their faces! Thank you for having us UPA, and until next time! ← The Social Media Awards 2013: We Are Nominated!